These carrot bars have almost a cake like appearance, it really depends on what size pan you want to use. It is very moist and the cream cheese frosting compliments it. then add 1 1/2 to 2 cups of powdered sugar and mix til frosting is to your liking. Cream together sugar, eggs and oil. 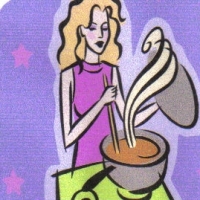 Add your flour, baking soda, salt, cinnamon and carrots. Pour into a greased and floured 14 1/2 X 11 pan (I use a lasagna pan). I have never made carrot cake or cream cheese frosting before,and it is one of my faves.Thanks, will let you know how it turns out! 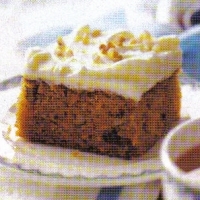 Carrot cake is a favorite of mine. I bet these are fabulous.